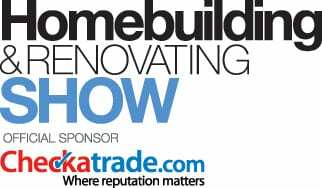 If you’ve ever dreamt of doing your very own self build or you’re currently dreaming up ideas for a home renovation, the Home Building + Renovating Show is a great place to start, to speak to experts or just to ask questions. Experts are on hand to offer free advice, guidance and inspire your project. No matter what stage your project is at, there will be sessions, experts and exhibitors at the show to help you bring your project to life. The London Homebuilding & Renovating Show runs from 21st – 23rd of September 2018 at the ExCeL, London. Across the three full days, you will have the opportunity to speak to over 500 exhibitors and access free advice sessions, seminars and masterclasses on essential topics which can tackle any problem, from implementing the latest intelligent security systems to funding a remodelling project. 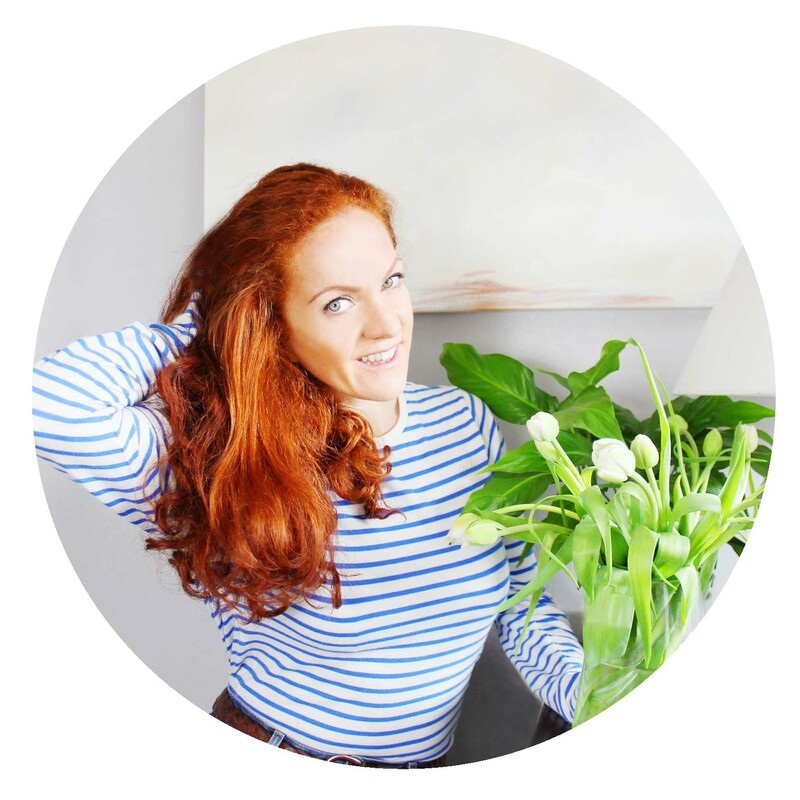 I’m so excited to offer you the chance to redeem a pair of FREE Tickets (worth £36) to the Home Building + Renovating Show!!! All you have to do to is CLICK HERE to redeem your tickets! Small pint: The Fabulous Times readers must click on the link, fill out their details and print off their tickets to take to the show. Tickets must be redeemed before the link expires on 3pm the day before each event. Children aged 16 years and under are able to attend free of charge. In a room lacking in natural light (like our living room for most of the year!) – a single ceiling light is just not enough. The best way to create an overall glow is by opting for recessed lighting paired with the more traditional pendant light. The LED spotlights from LED Hut make for the ideal recessed lights and come in a wide variety of light types from wide beam to dimmable. We will be getting spotlights fitted around the living room as well as keeping our existing pendant light fitting. Mixing lighting sources at different levels is key to creating a successful lighting scheme. 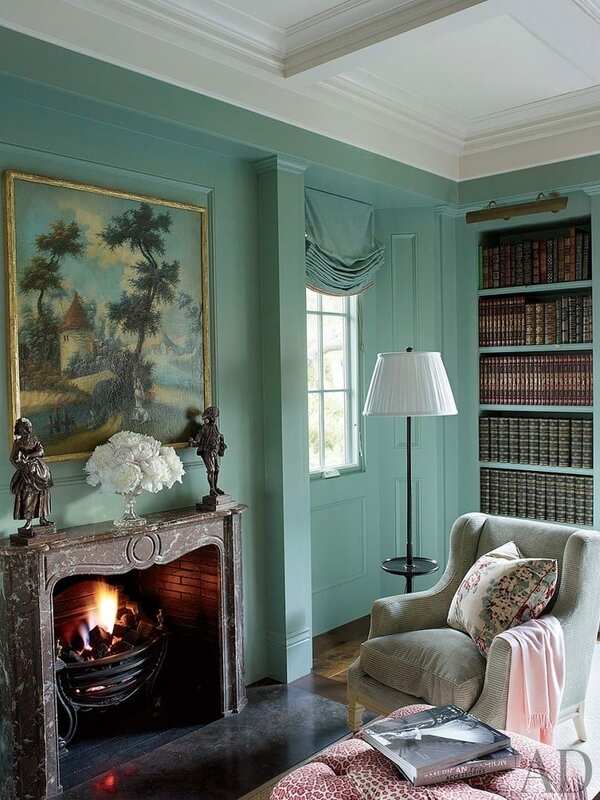 Layering light fittings will help to illuminate the room. Layering a ceiling pendant, LED spotlights and wall sconces with a standing lamp will give your space flexibility and help the room to transition between a well-lit space to an ambient place to dine or cosy up with a good book. We’ve already invested in a pair of table lamps that sit at either end of our sofa, so will keep these in the living room and layer up the additional lighting around them. Table lamps are perfect for adding a little extra light when the sun goes down. Having a pair of matching lamps also adds a sense of balance to the space. Whether you go for a sculptural piece to go above the dining table, a large drum shade or an antique chandelier, adding a focal pendant can create a sense of drama to any space. Currently we are on the hunt for the perfect centre piece for above our dining room table. Illuminate the corners: A dark corner instantly becomes a cosy place to sit and read if you add a table lamp or standing floor lamp. 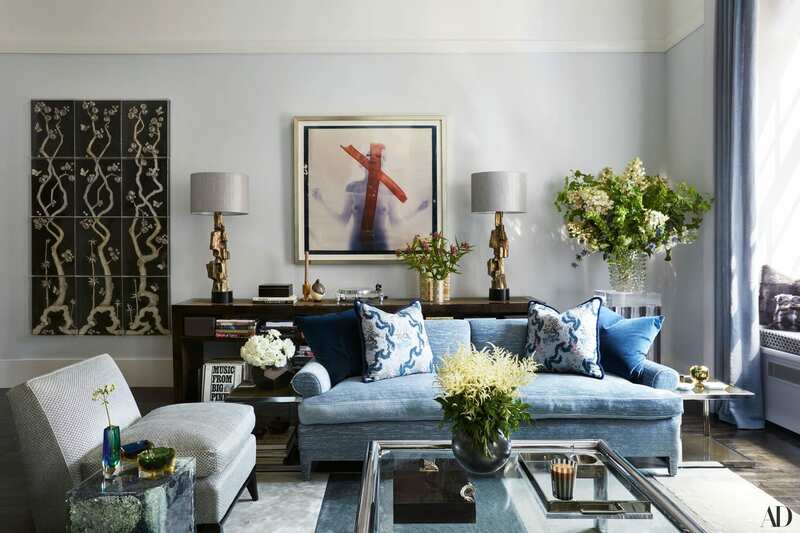 Illuminating the corners of your living room will also help to create the illusion of more space and add a little interest and purpose to an otherwise unloved space. 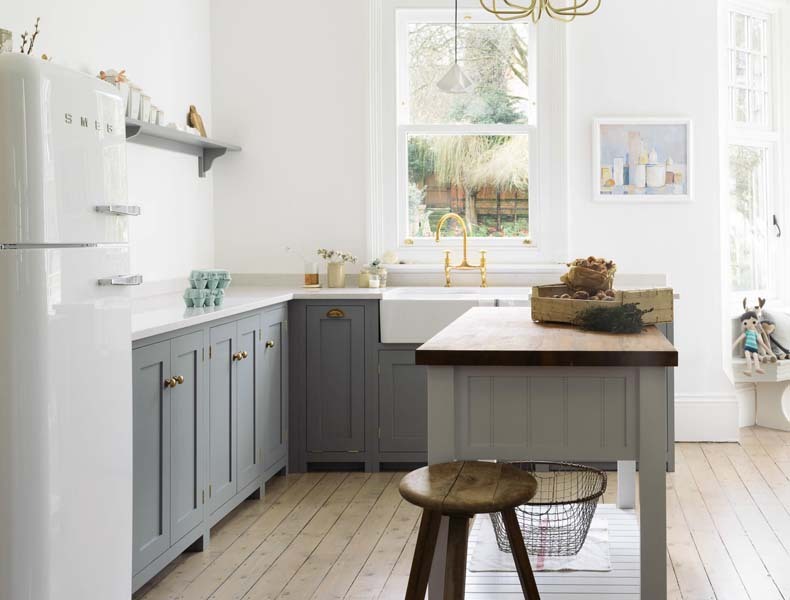 Kitchen: Shaker Kitchen | deVOL Obsession: As you most likely know by now we’ve been dreaming up kitchen renovation ideas for our little kitchen- which is in a pretty sad state of disrepair. I posted previously about our ‘Kitchen interior inspiration’ with the initial ideas we’d been bouncing around. Since then we’ve met with a kitchen company to discuss layouts and ideas, but haven’t made any firm decisions. I’m attempting to share our journey and keep you in the loop with our progress so you can come along for the ride. As with any project, the process of planning and preparation are vital. 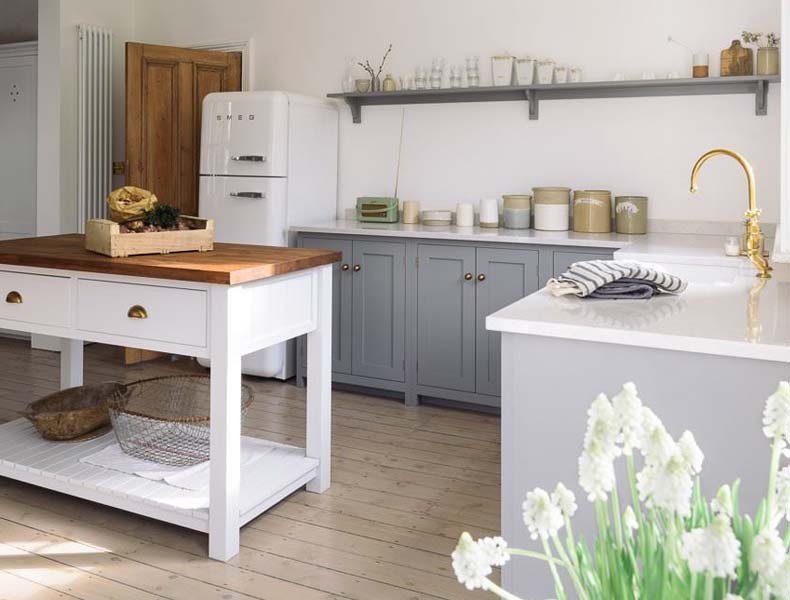 So, I wanted to share my ongoing ideas including the Shaker Kitchen from deVOL that I’m currently obsessing over! Open shelving: Previously I’d mentioned that we love open shelving and still stand by this. We are hoping to create a sense of openness, light and flow through our living space and kitchen and feel that open shelving above waist height will help us to achieve this. The deVOL kitchen demonstrates how simple and elegant the open shelving can look. Wooden Shaker cabinets: We are still very set on wooden cabinets. 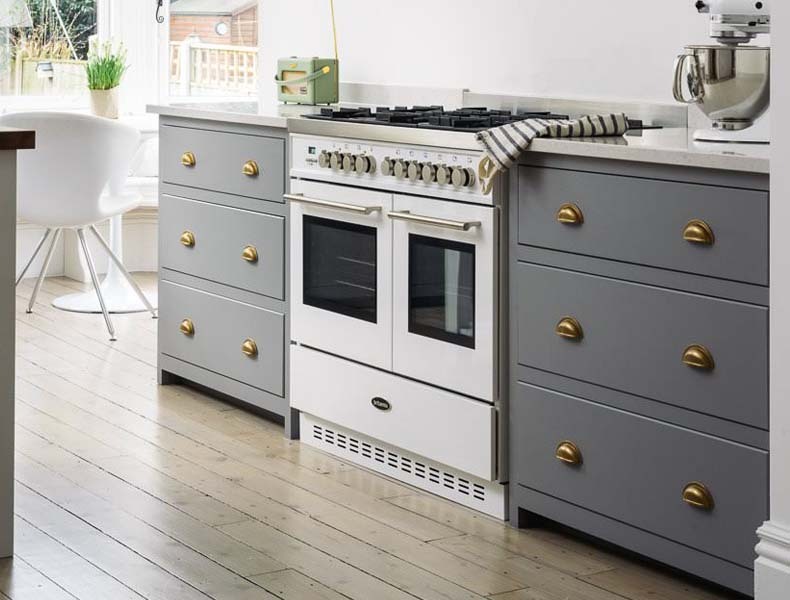 We had discussed the vinyl wrapped wood effect cabinets with the kitchen showroom we had visited, but still feel they are not right for what we want. We both love the idea of being surrounded by natural materials, that are both hardwearing and timeless. 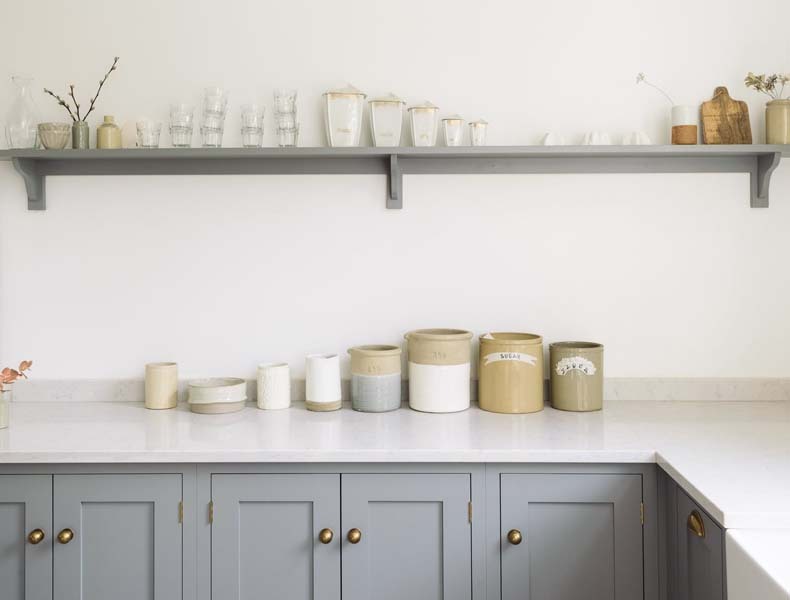 Mr T & I both love the deVOL shaker cabinets and they’ll certainly be inspiring the look that we eventually achieve! Marble worktops: I asked the question last time about wooden worktops, thank you for your sage advice! Since then we’ve decided that marble would be the best option. 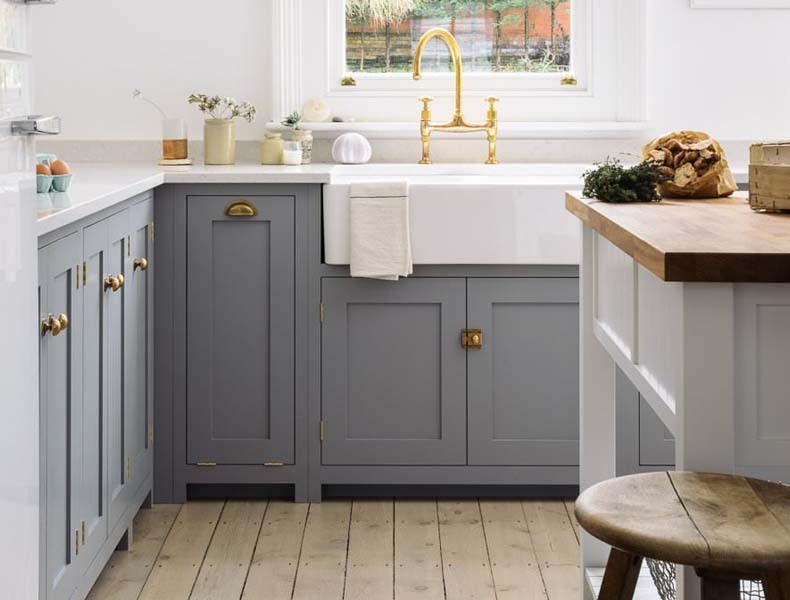 Although we really LOVE the look of wooden worktops, the thought of having to maintain them didn’t fill us with much excitement. 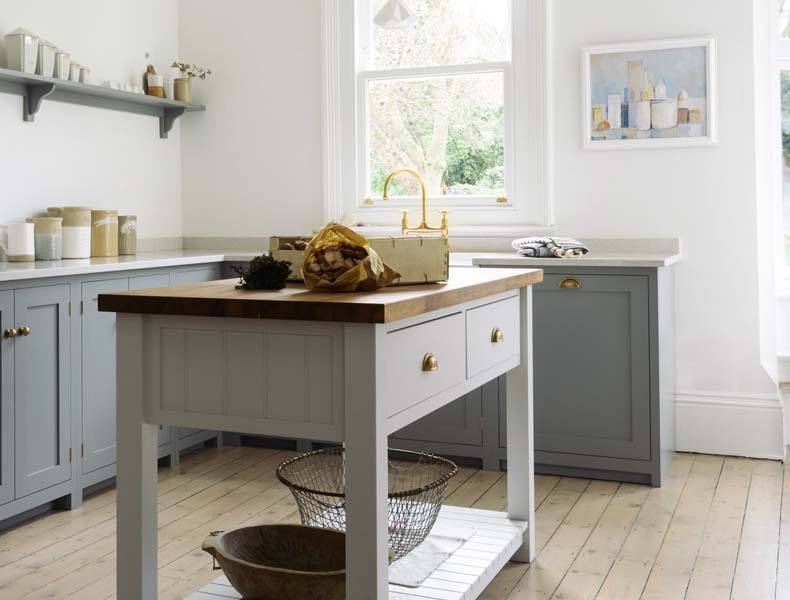 The devOL Shaker kitchen shows just how clean and lovely a marble worktop can look. 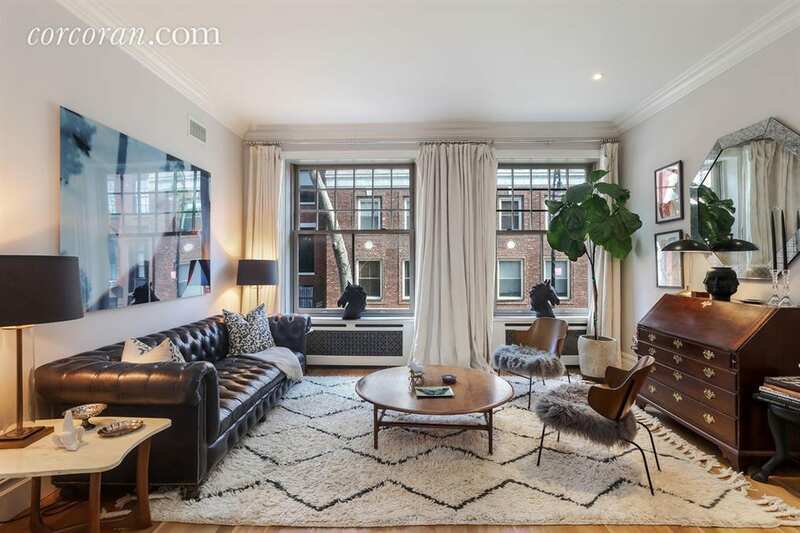 >side note< I also love the wooden butchers block/ island in this picture, but our space is pretty darn small so don’t think that’d fit! Stay tuned for more about our kitchen project!